Every fact in our world’s history is a result of human actions. The greatest war of all times hides secret agreements, political interests, profits and actions of human beings. In this short article we will analyze and see which people played the most important role and those behind the scenes. Hitler and Axis forces are slowly occupying Europe. Since 1939, Austria, Czechoslovakia and Poland are the first countries tasting the rage of Wehrmacht. In the meantime, Benito Mussolini and his vision of a new Roman empire and “Mare Nostrum” (our Mediterranean sea) is including Balkans and Greece. Soon, the Italian army will invade Greece and for the very first time in WWII, a non-Axis country is winning and attacking the Axis forces. The small but strategic and critical country of Greece in the edge of Mediterranean sea, the country between Asia, Europe and Africa is resisting to fascism and National-Socialism. The poor and basic equipped Greek army is braking the Italian one at the Greek-Albanian boarders and acting as a great and light example for the European countries. This is the first time that civilians are taking part in the war and defending their country with whatever they have. After the triple invasion of the Italian, German and Bulgarian army from the North, the Greek mainland is occupied by the Axis. The only free territory of Greece is the island of Crete. And on this land some of the most heroic actions will happen. We will not analyze the facts during the battle of Crete and the German occupation now, but we will give a close look to the main characters of this dramatic battle. 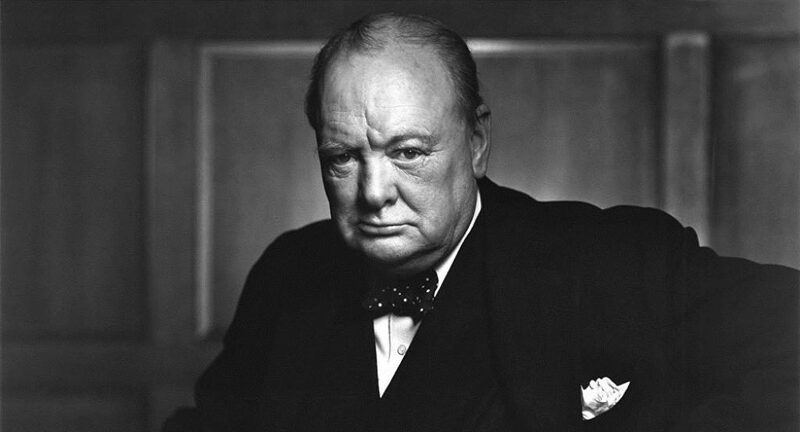 Sir Winston Leonard Spencer-Churchill (30 November 1874 – 24 January 1965) was the Prime Minister of the United Kingdom from 1940 to 1945. Greece and the island of Crete was very important to him. After the capture of Greece by the Germans, he believed that the allied forces on Crete must hold the island at all costs. He admired the Greek fighters of the Albanian front during the Greek-Italian war 1940-1941 and many people are giving him the phrase “From now on we need to say that heroes are fighting like Greeks”. After the battle of Greece, Churchill will trust a very close friend of him to defend the island of Crete. In cooperation with the Allied Headquarters of Middle East and Field Marshal Wavell, they will choose General Fryberg. Admiral of the Fleet Andrew Browne Cunningham, 1st Viscount Cunningham of Hyndhope (7 January 1883 – 12 June 1963) was a senior officer of the Royal Navy during the Second World War. He was widely known by his nickname, “ABC”. During the battle of Crete, the British fleet broke the German convoy of 70 ships leading to Crete (May 21st & 22nd) and the sea invasion of the island was avoided. After a week of heavy fighting, British commanders decided that the situation was hopeless and ordered a withdrawal from Sfakia. In the next four nights, 16,000 troops were evacuated to Egypt by ships. A smaller number of ships were to withdraw troops on a separate mission from Heraklion, but these ships were attacked en route by Luftwaffe dive bombers. Without air cover, Cunningham’s ships suffered serious losses. 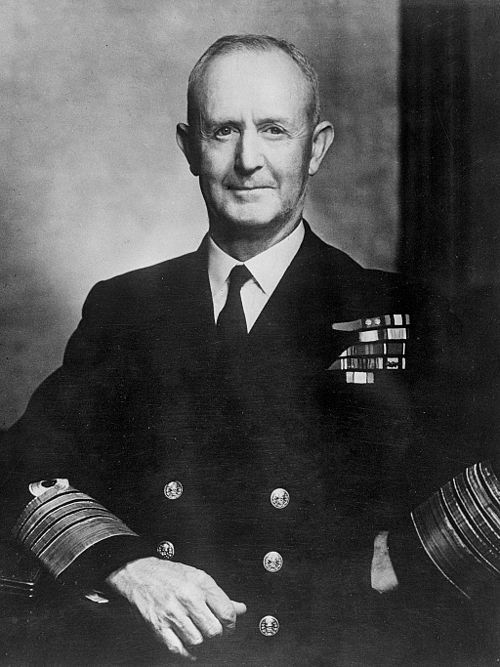 Cunningham was determined, though, that the “navy must not let the army down”, and when army generals feared he would lose too many ships, Cunningham famously said, It takes the Navy three years to build a ship. It will take three hundred years to build a new tradition. The evacuation will continue. The “never say die” attitude of Cunningham and the men under his command meant that of 22,000 men on Crete, 16,500 were rescued but at the loss of three cruisers and six destroyers. Fifteen other major warships were damaged. Air Chief Marshal Sir Arthur Murray Longmore (8 October 1885 – 10 December 1970) was an early naval aviator, before reaching high rank in the Royal Air Force. He was Commander-in-Chief of the RAF’s Middle East Command from 1940 to 1941. The outbreak of the Second World War found Longmore an air chief marshal and in charge of RAF Training Command. On 2 April 1940, he was appointed Air Officer Commanding in the Middle East. He did not long enjoy the full confidence of Winston Churchill in that position and was relieved of his command in May 1941. His last role before his formal retirement in 1942 was as Inspector-General of the RAF. Field Marshal Archibald Percival Wavell (5 May 1883 – 24 May 1950) was a senior officer of the British Army. He served in the Second Boer War, the Bazar Valley Campaign and World War I, during which he was wounded in the Second Battle of Ypres. He served in the Second World War, initially as Commander-in-Chief Middle East, in which role he led British forces to victory over the Italians in western Egypt and eastern Libya during Operation Compass in December 1940, only to be defeated by the German Army in the Western Desert in April 1941. During the defense deployment for Crete island, Wavell through the information from ULTRA, warned General Bernard Freyberg, commander of “Creforce”, a lot of times about the airborne invasion. There are dispatches of Wavell to “Creforce” headquarters proving the knowledge about the German attack before it happen. 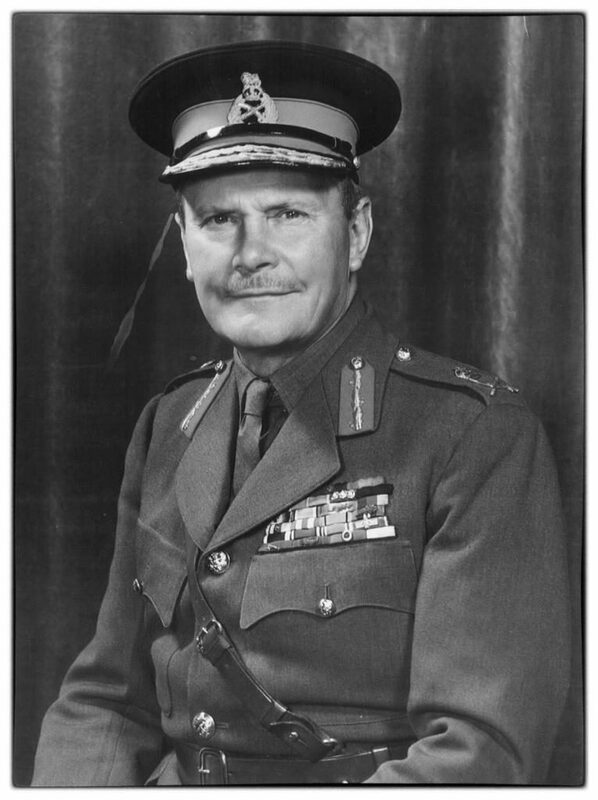 Lieutenant General Bernard Cyril Freyberg (21 March 1889 – 4 July 1963) was a British-born soldier and Victoria Cross recipient, who served later as the 7th Governor-General of New Zealand from 1946 to 1952. He was a WWI hero and according to his men, a very brave soldier. Winston Churchill and the British Army had classified Freyberg as unfit for active service in 1937. After the outbreak of war in September 1939, he returned to its active list in December as a specially employed major-general. On being approached by the New Zealand government, Freyberg offered his services and was appointed commander of the 2nd New Zealand Expeditionary Force and of the 2nd New Zealand Division. In the chaos of the retreat from the Battle of Greece in 1941, Churchill gave Freyberg command of the Allied forces during the Battle of Crete. There are a lot of different opinions about Fryberg’s actions, his responsibilities and finally the result of the battle of Crete. Instructed to prevent an assault from the air, he remained obsessed with the (highly improbable) possibility of a naval landing and based his tactics on it, neglecting adequately to defend the airfield at Maleme, ignoring ULTRA intelligence messages, which showed that the assault was coming by air. Finally the allies lost Crete in less than 10 days but fighting bravely the German paratroopers and mountain troops. The evacuation plan was successful and many of Crete’s fighters made it to Alexandria. Promoted to lieutenant-general and knighted as a Knight Commander of the Order of the British Empire, Freyberg continued to command the 2nd New Zealand Division through the North African and Italian Campaigns of the Eighth Army. He had an excellent reputation as a divisional-level tactician. Winston Churchill described Freyberg as his “salamander” due to his love of fire and wanting to be always in the middle of the action. Due to the geographical makeup of the island and his prior knowledge of German plans, Freyberg planned his defense around four self-contained fighting groups deployed in the regions where the airborne invaders would most likely seek a foothold. These areas would form the focal points of the Crete defense plan. The first of these, at Heraklion, would be defended by an 8,000-man garrison comprising Australian, British, and Greek troops under the command of Brigadier B.H. Chappell. The second, in the Rethimnon-Georgioupolis sector, would have Brigadier G. A. Vasey commanding Australian and Greek units totaling 7,500 men. The third, in the Souda Bay-Chania sector, was under the command of Major General E.C. Weston with a force of 8,000 men, while the fourth, under Brigadier E. Puttick, covered the Maleme-Galatas sector just west of Chania. The New Zealanders in this region were responsible for defending the airfield, the coast, and Prison Valley against the Germans. 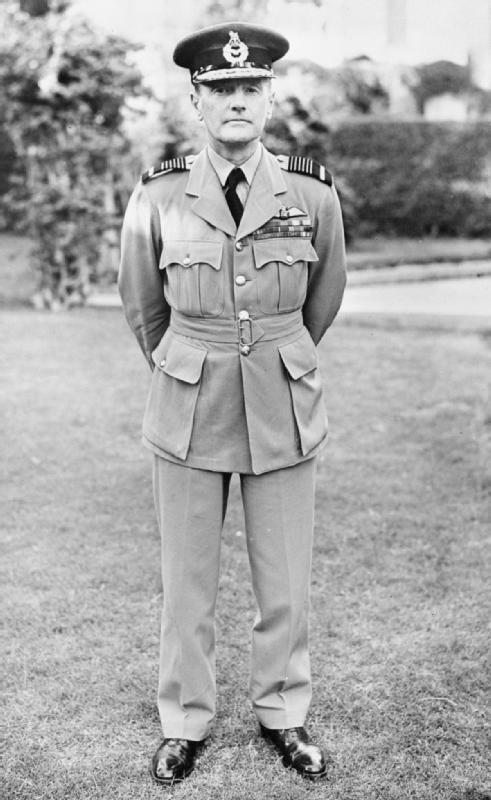 Major General George Alan Vasey (29 March 1895 – 5 March 1945) was an Australian Army officer. He rose to the rank of major general during the Second World War, before being killed in a plane crash near Cairns in 1945. In March 1941, Vasey was promoted to temporary brigadier and took command of the 6th Division’s 19th Infantry Brigade following the departure of Horace Robertson to Australia on medical grounds. He led it in Greece, suffering a defeat at the Battle of Vevi. Vasey’s instructions to his men were couched in typical Vasey terms: “Here you bloody well are and here you bloody well stay. And if any bloody German gets between your post and the next, turn your bloody bren around and shoot him up the arse.” The 19th Infantry Brigade was evacuated to Crete, where it fought in the Battle of Crete. Vasey was commended for his work in Crete and was among the last to be evacuated to Egypt, but some 3,000 Australians were taken prisoner. Although it was a bitter defeat, Vasey’s performance was considered outstanding, he was appointed a Commander of the Order of the British Empire (CBE), awarded a Bar to his DSO, and later the Greek War Cross. 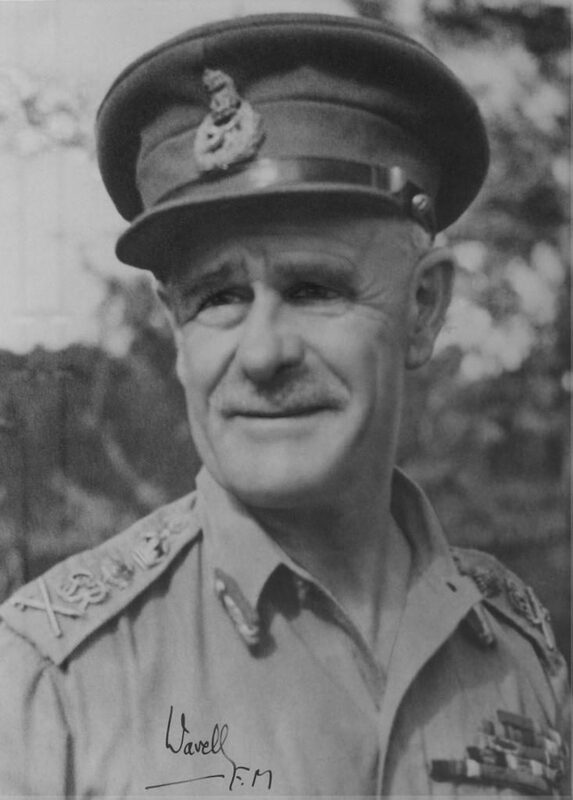 Major General Sir Edward Puttick, (26 June 1890 – 25 July 1976) was an officer who served with the New Zealand Military Forces during the First and Second World Wars. 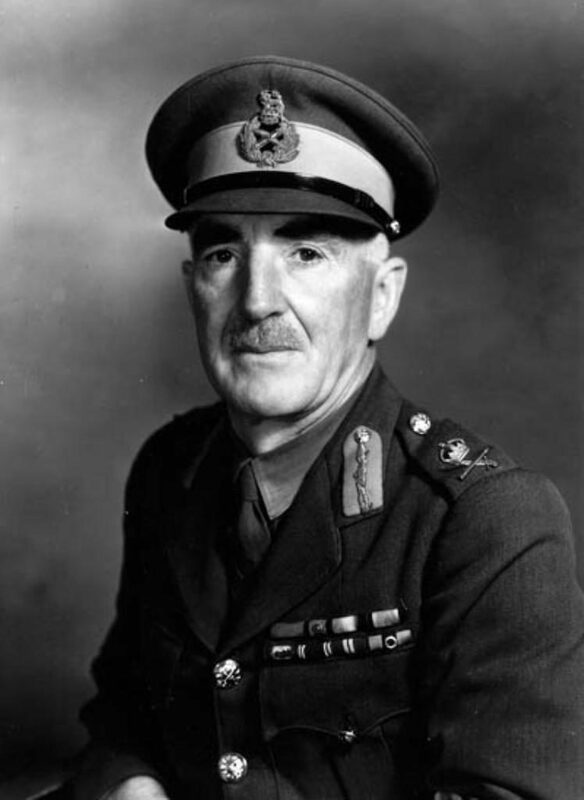 The first New Zealand-born soldier to reach the rank of lieutenant general, he was Chief of the General Staff of the New Zealand Military Forces from 1941 to 1945. In the beginning of 1940, the 4th Infantry Brigade with Puttick, promoted to temporary brigadier, as its commander was to be the first brigade of the newly formed 2nd New Zealand Division, under the overall command of Major General Bernard Freyberg. 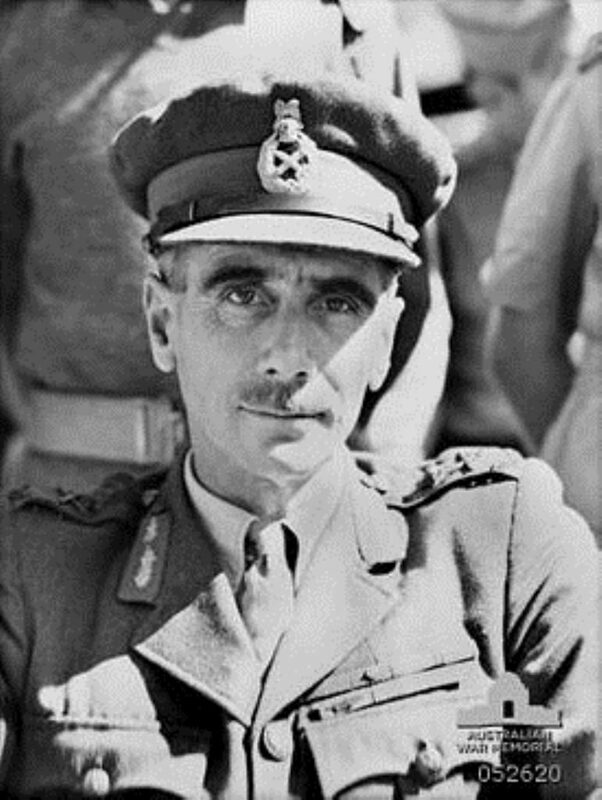 On Crete, Puttick was promoted to temporary major general and, following Freyberg’s appointment as the commander of Creforce, took over responsibility for the 2nd New Zealand Division. During the Battle of Crete his failure to pressure James Hargest, one of his brigade commanders, to hold the the hill 107 and Maleme airfield in the beginning and then to make a counterattack to support the defenders of Maleme airfield resulted in its eventual loss to the Germans. New Zealand Field Punishment Centre (FPC) Prisoners were released to fight the enemy. Brigadier James Hargest (4 September 1891 – 12 August 1944) was an officer of the New Zealand Military Forces, serving in both the First and Second World Wars. He was a Member of New Zealand’s Parliament from 1931 to 1944, representing firstly the Invercargill and then the Awarua electorates. During the Battle of Crete he was the commander of 5th New Zealand Infantry Brigade and resposnsible for Maleme and Platanias sector. He displayed poor judgement in the positioning his forces around the vital Maleme airfield and in controlling their movements once the battle commenced. Due to lack of communications because of the heavy air assult there was a chaos in this sector. After the communications with Leslie Andrew (22nd battalion commander) in the evening of May 20th (He decided to pull back from Point 107 to a nearby ridge), Hargest agreed to the withdrawal – famously replying, ‘if you must, you must’. Until May 22nd ans after the counter attacks failures, the 5th Brigade left Maleme and Platanias sector to the Germans. Major General Sir Howard Karl Kippenberger (28 January 1897 – 5 May 1957), known as “Kip”, was an officer of the New Zealand Military Forces who served in the First and Second World Wars. On Crete, Kippenberger was promoted to temporary colonel and given command of the 10th Brigade, an ad-hoc formation, which included a 750-man composite battalion consisting mainly of artillery and Army Service Corps men (sans most of their heavy equipment and trucks), New Zealand Divisional Cavalry, some machine gunners and two Greek regiments. His 20th Battalion was also part of the brigade but strict controls were in place around its deployment and use. When the Germans launched the invasion of Crete on 20 May, Kippenberger, like most of the defenders of the island, was surprised at the sight of hundreds of Fallschirmjäger (paratroopers) descending under parachutes. He quickly recovered and was making his way to his headquarters, when a burst of gunfire from a paratrooper was directed his way. After twisting his ankle in avoiding the gunfire, he stalked and killed the paratrooper with a shot to the head. His brigade was positioned east of Maleme airfield, on the Galatas plains. It was well placed to counterattack scattered paratroopers who were beginning to consolidate into a good starting position from which an attack on the airfield could be launched. His request to do so was denied by the acting divisional commander, Brigadier Edward Puttick. An attack launched later without Kippenberger’s knowledge failed although he believed the outcome could have been different if his troops had been involved. For most of the remaining days of the battle, a series of attacks and counterattacks were launched. The 10th Brigade had been made subordinate to the 4th Infantry Brigade, although Kippenberger remained in command of the forward troops of the brigade around the town of Galatas. For the next few days, he was instrumental in maintaining defensive discipline of the forward troops, most of whom were not trained infantry. When Galatas fell to the Germans on 25 May, he quickly planned, led and executed a successful counterattack to recapture the town. Despite this notable success, it was short-lived as the brigade had to withdraw to a shorter defensive line and the town was abandoned. Kippenberger joined up with the 20th Battalion as it gradually retreated to Sphakia, on the south coast of the island, from where it was to be evacuated to Egypt. On arrival at Sphakia he had to select a number of his men to remain as a rearguard while the rest of the battalion was evacuated on 30 May. Much to his pleasure, the rearguard that he thought he had had to abandon on Crete was able to follow the next day. As a result of his actions in Greece and Crete, Kippenberger had forged a reputation for himself as one of the leading officers of the 2nd Division. His brigade commander, Puttick, recommended him for leadership of an infantry brigade although for the time being he would remain commander of the 20th Battalion. Later in the year, he would be awarded a Distinguished Service Order (DSO) for his leadership during the Battle of Crete. Perivolians” after they were supposedly involved in rescuing the King of Greece. 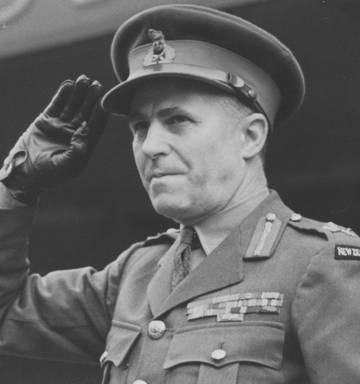 Major General Lindsay Merritt Inglis (16 May 1894 – 17 March 1966) was a New Zealand military leader, lawyer and magistrate. 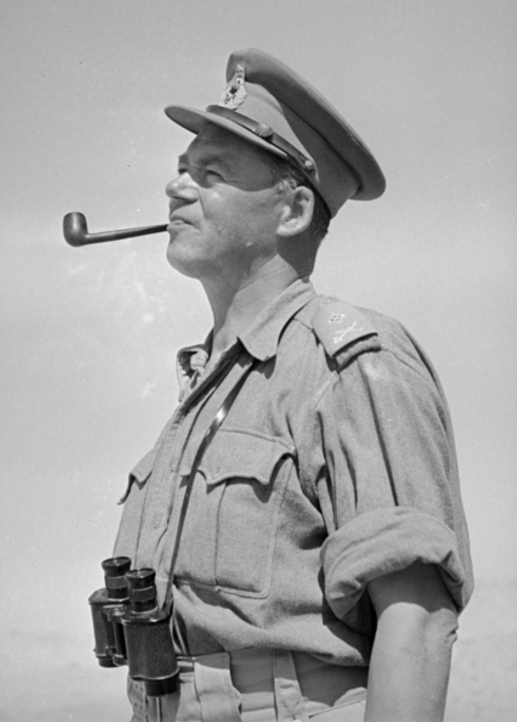 Having missed the Battle of Greece, Inglis was appointed commander of the 4th Infantry Brigade of 2nd New Zealand Division in May 1941. During the Battle of Crete, his brigade served the sector between Chnaia and Souda bay. The battle ended in the evacuation of Creforce to Egypt. 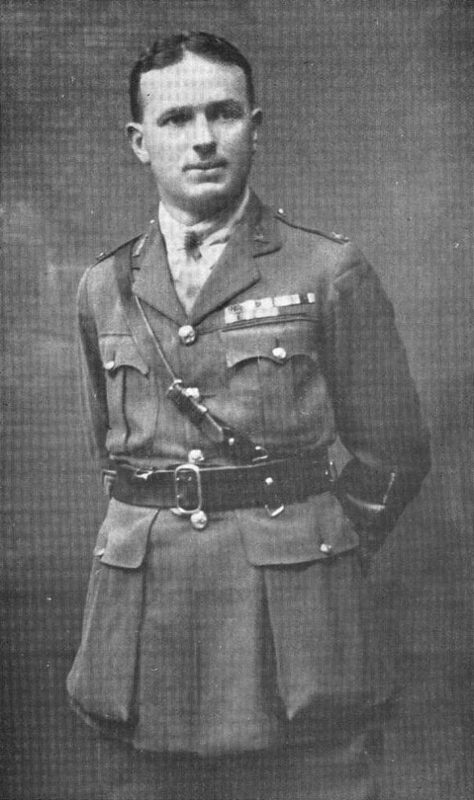 Freyberg selected Inglis to travel to the War Office in London and provide a report on the battle. When he met with Winston Churchill the month after the evacuation from Crete, Inglis was critical of Freyberg’s conduct of the battle and made a number of inaccurate and misleading statements. However, Inglis’ own conduct in the battle had not been exemplary. At one stage, he disobeyed an order to take over a newly created reserve and remained at divisional headquarters, possibly with hopes of taking over command of the division. Hi Giannis, A very interesting article but I don’t see any mention of 156Bty 52 Light AA Regt RA, or of 7th Australian Light AA Regt, or the 151 Heavy AA Regt. Have I missed something somewhere..? They served at Maleme, Canea and Candia?(Heraklion). 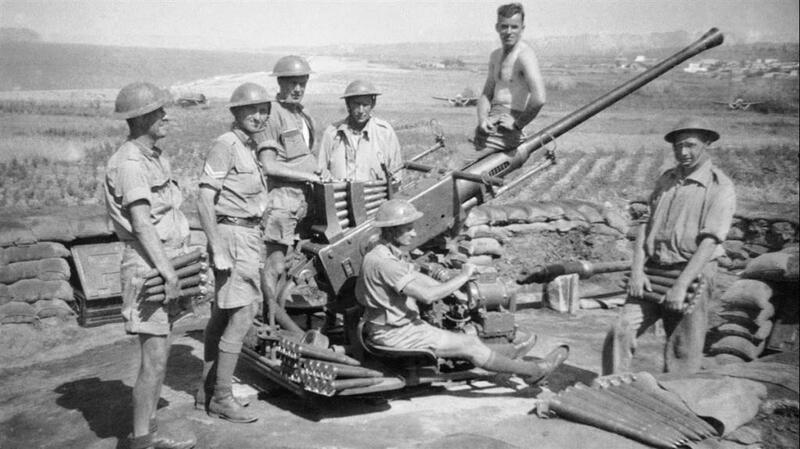 I believe the Header photograph that you are using is a Bofors gun of the 7th Australian Light AA Regt at Maleme and is from the Australian War Museum. Thank you for your comment and feedback. This is an article presenting the main characters of the battle of Crete and some of the commanders in key locations. I could not include all the units and the complete battle deployment. But I’m preparing another article with all details and the order for battle of both sides. Although sometimes even the best historians are missing some of the units and regiments that fought in the battle. I’m searching in books and the official archives in order to present the most complete version of the battle deployment. And I will be more than happy to have some details I don’t know from you if you already have a source you trust!! !